This precious photo is one of the few I have of Gordon Winslow. 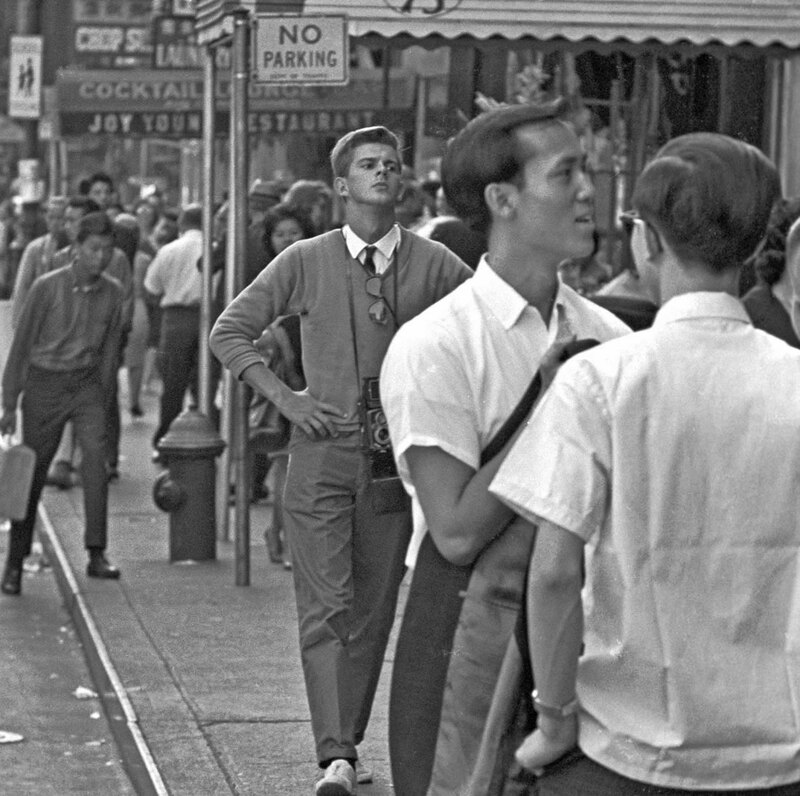 He is carrying his Rolleiflex camera on the streets of NYC, 1962. It is greatly enlarged and is, to me, precious!